"It's right on track," Woods said after shooting a 3-under 69 on Sunday. "I'm able to shape the golf ball both ways, which I'm going to need there. Just need a few more putts to go in, but that's about it." "I felt like I was playing well," he said. "My score didn't really indicate that going into the final day, but I was hitting the golf ball well. I'm frustrated at lipping more putts out than I think I have in a very long time. Just one of those weeks where just nothing really got rolling enough to get me going." 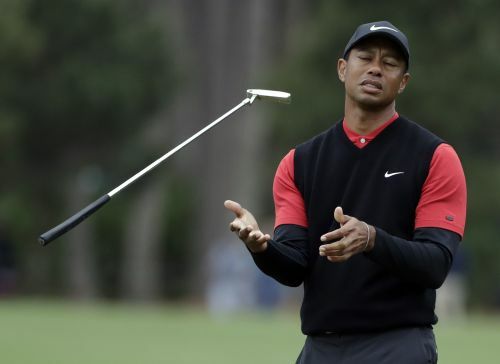 Woods' lone blunder — his only score worse than bogey all week — was a quadruple-bogey 7 at the famed par-3 17th in the second round. Woods put two balls in the water en route to matching his worst score on any par 3 in 24 years on the PGA Tour. "I'm excited the way I drove it," he said. "I drove the ball well this week. I drove it not quite as long on the weekend with a little bit cooler temperatures, but I was driving it pretty straight and I was able to shape the golf ball both ways with all three of my woods, which was good to see." "I needed that," he said. "I needed to get that organized. If my back gets tight, it's going to go up the chain and so I got to start at ground zero and get my lower back moving properly and get everything, the firing sequence good, and then after that the rest of the chain will take care of itself. "I think that it was the right decision to make considering that I have April right around the corner." "I was close," Woods said. "I know the score doesn't really indicate that, but this is one of the golf courses that — there's some weird spots here. It was fun to play but ... this is probably the most stressful golf course you ever play when there's wind out here. "The wind swirls and you have fairways that are tough to hit and then you have the greens that are tough to hit and put it in the right sections. And if you don't, you're going to be standing on your head hitting some shots. So only had a few of those this week, so all in all it was a solid week."